What’s the Best Age for You to Start Taking Social Security? There’s a lot of debate about the best time to start taking Social Security benefits, and the truth is: there’s no right answer. It all depends on your life expectancy and how long you can afford to wait to start receiving benefits. While it’s impossible to know exactly how long you will live, you can estimate it and use your projection to determine the most valuable time for you to start taking Social Security. Let’s learn how the age at which you start collecting benefits will affect the size of your monthly checks and find out how to decide the optimal age for you to start claiming. How does age affect Social Security benefits? You become eligible for Social Security when you turn 62, but you won’t receive your full benefit amount per check if you start claiming right out the gate. The Social Security Administration defines full retirement age (FRA) as 66 or 67, depending on the year that you were born. You must wait until you reach this age to start claiming benefits if you want to receive 100% of the amount that you are entitled to based on your work record per check. If you choose to start taking Social Security earlier than this, you will receive a reduced amount per check to account for the extra months you receive benefits. People with an FRA of 66 will only receive 75% of their scheduled benefit per check if they begin taking benefits at 62, and those with an FRA of 67 will receive just 70% per check if they start benefits at 62. To give you an idea of how this works, imagine that your work record entitles you to a monthly $1,000 Social Security check — that is if you wait to start benefits until you reach your FRA of 67. If you decide to start claiming benefits at age 62, you will only receive 70% of that full amount, or $700, per check each month. Of course, you can start taking Social Security at any time between 62 and your FRA. In this case, the amount that you will receive depends on how close you are to your FRA. For each month that you delay benefits beyond your 62nd birthday, your benefit amount will go up by 2/3 of 1% until it reaches 100% at your FRA. You can also delay taking your Social Security benefits past your FRA and the amount of your checks will continue to increase at the same rate until you reach the maximum possible benefit at age 70. For those with an FRA of 66, this is 132% of your scheduled benefit amount per check, and for those with an FRA of 67, it is 124% of your scheduled amount — a nice bonus to make up for all those months you went without claiming. It may seem like you should delay your benefits for as long as possible in order to get the most out of Social Security, but this isn’t the best decision for everyone. To determine the most advantageous age for you to start Social Security, consider your life expectancy. If you have a terminal, chronic or progressive illness, it may make more sense to start claiming Social Security at 62 than it does to wait. Yes, you’ll get a smaller amount per check, but you won’t get any money at all if you choose to delay and then you die before ever claiming. No one can say for certain how long they’re going to live, but you can estimate. The current average life expectancy in the United States is 78.6 years, but this may be too low of an estimate for many. One in four 65-year-olds today can expect to live past 90, according to the Social Security Administration, and one in 10 can expect to live past 95. If you’re reasonably healthy, you may want to go with a higher life expectancy estimate than someone who already suffers from health problems. Your family’s health history is also a factor, so be sure to factor in any genetic risks, too. Once you have your estimated life expectancy, you can determine the best time to start Social Security by comparing the total amount of benefits you would receive over your lifetime if you start Social Security at different ages. Here’s a start: Let’s assume we have three individuals — Persons A, B and C — who all expect to live until age 85 and who are all entitled to a $1,000 Social Security check per month if they wait to claim benefits until their FRA of 67. Person A decides to claim their benefits as soon as they’re eligible at 62. Person B waits for their FRA while Person C chooses to delay benefits until age 70. The following chart illustrates the total amount of Social Security benefits that each person would have received by the end of the given year, from age 62 to their estimated life expectancy of 85. For example, at the end of their 62nd year, Person A would have received $8,400 in Social Security benefits so far while Persons B and C would not have earned anything because they have not started benefits yet. In this example, Person C comes out on top, outearning Person B by over $10,000 and Person A by nearly $37,000. But here’s where it gets tricky. If Person C were to die before age 82, then Person B gets the best deal. And if Persons A and B both die before age 78, Person A will end up with the most benefits. This is why estimating how long you are likely to live is so important when choosing when to start taking Social Security. To figure out which starting age will offer you the most Social Security benefits over the long run, conduct an analysis like this in which you add the total amount of benefits you would receive if you started taking Social Security at different ages. You can estimate how large your Social Security checks will be by creating a my Social Security account. This will tell you how much you can expect to receive per month if you start benefits at 62, your FRA, and age 70, based on your current work record. From there, you can calculate your benefit amount at other ages by using the benefit amount information outlined in the previous section of this article. To determine which starting age provides the best value based on your estimated life expectancy, simply multiply your expected benefit amounts per check by 12 to get your expected annual benefits for each age you’re considering. Next, multiply each of these numbers by the number of years you expect to receive benefits to see which one will give you the most money overall. Of course, just because you may be able to get more money by delaying Social Security doesn’t mean you’ll be able to afford to delay it, in reality. 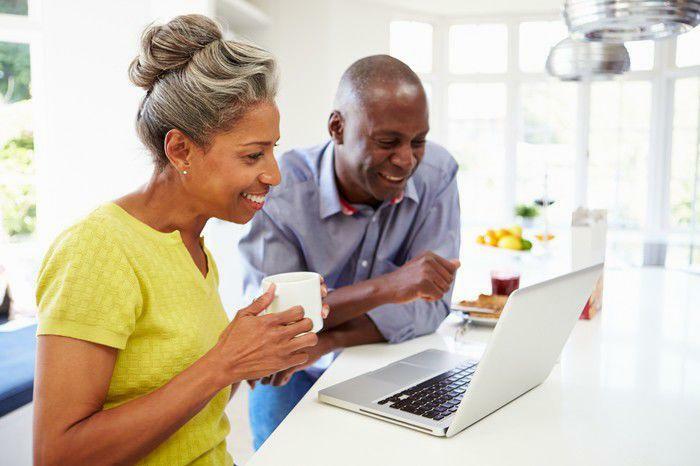 If you cannot make ends meet using your current retirement savings without the help of a Social Security check, you may have to start claiming earlier, even if it means accepting a reduced amount. No matter when you start claiming, it pays to understand how your starting age affects your benefits. Even a delay of a few months can mean heftier checks for the rest of your life.